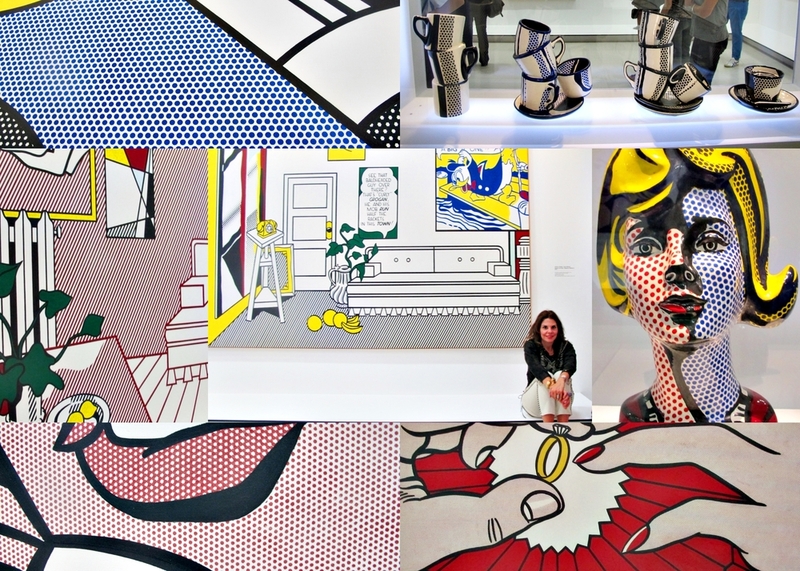 One of the best things that Paris has to offer is the sheer amount of museums and shows that are constantly rotating and being curated by some of the most brilliant people in the world. 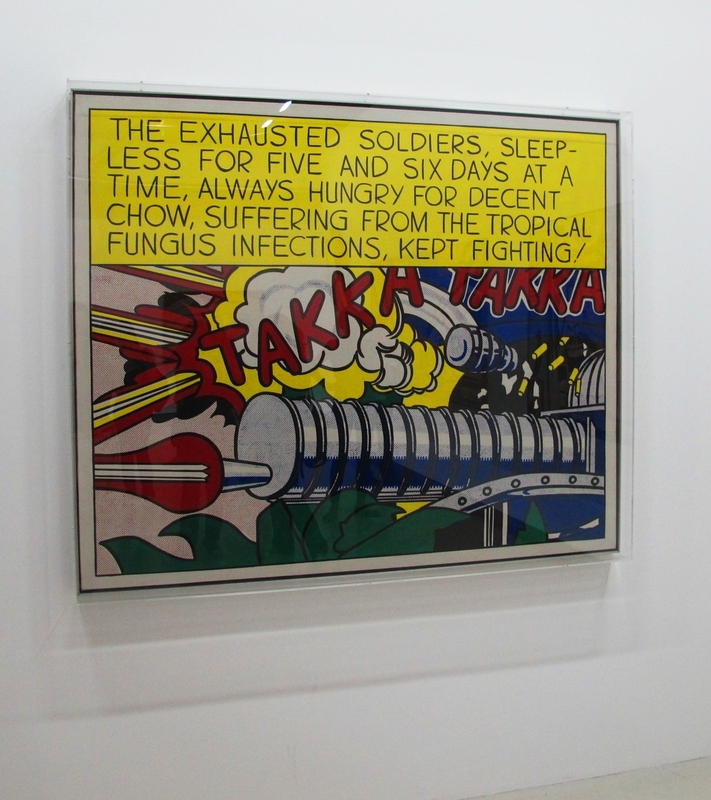 This year, I saw three of the most compelling museum shows that I've ever attended to and the three of them were in Paris: Keith Haring at the Musee d'Art Moderne de la Ville de Paris, which I wrote about here; Masculin/Masculin at the Musee D'Orsay and this Lichtenstein's retrospective at Pompidou. 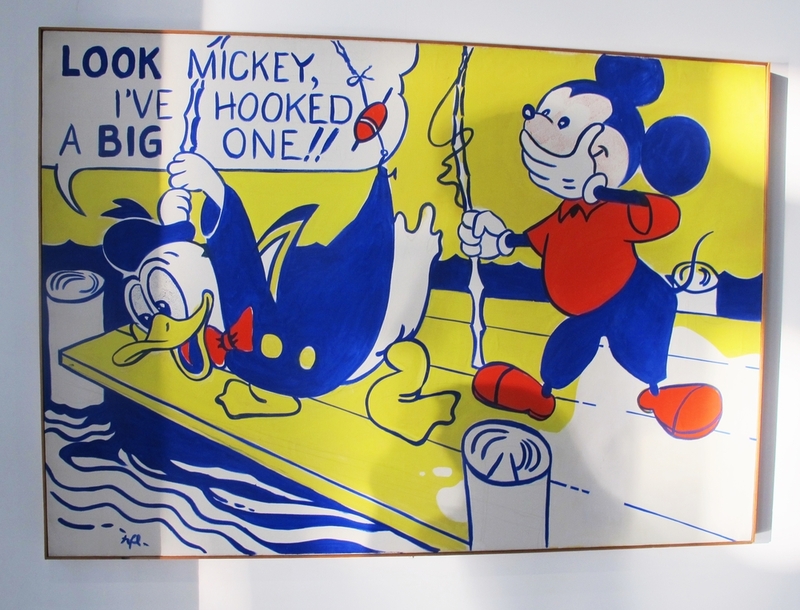 This superb show traveled from the Tate Modern in London and it didn't disappoint even though it was considerably reduced in size due to the Pompidou's space constraints. 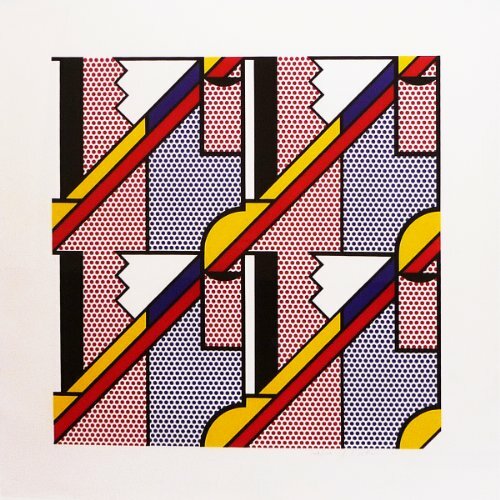 Lichtenstein’s work has always inspired me: from his saturated color combinations to his methodical way of using geometry including dots, stars and lines, he was a consistent artist who along with Andy Warhol, Jasper Johns and James Rosenquist gave shape to the pop art movement that has influenced so many artists and designers for more than 50 years. 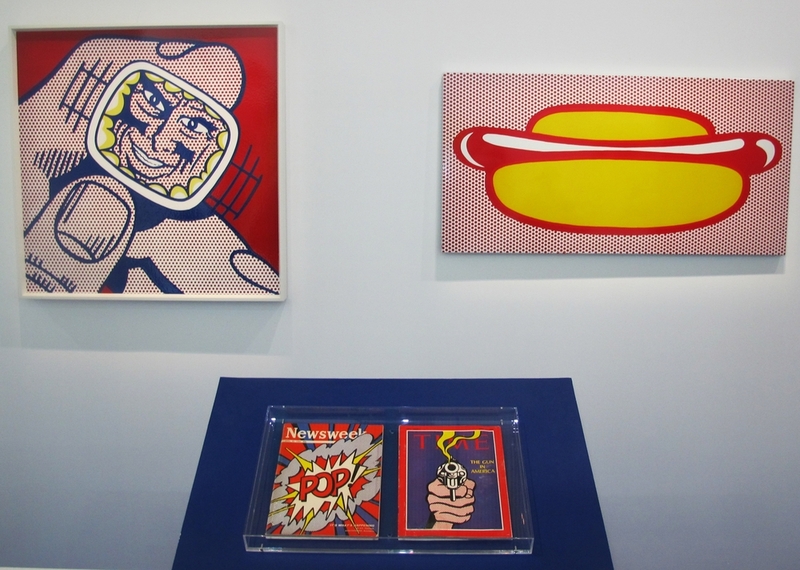 Usually considered as an accessible artist and the creator of easy-to-understand pieces, Lichtenstein was above all, a man with a great sense of humor mixed with irony and cynicism. He was the epitome of a born-and-bred New Yorker who later in his career also worked from his second home in Southampton. 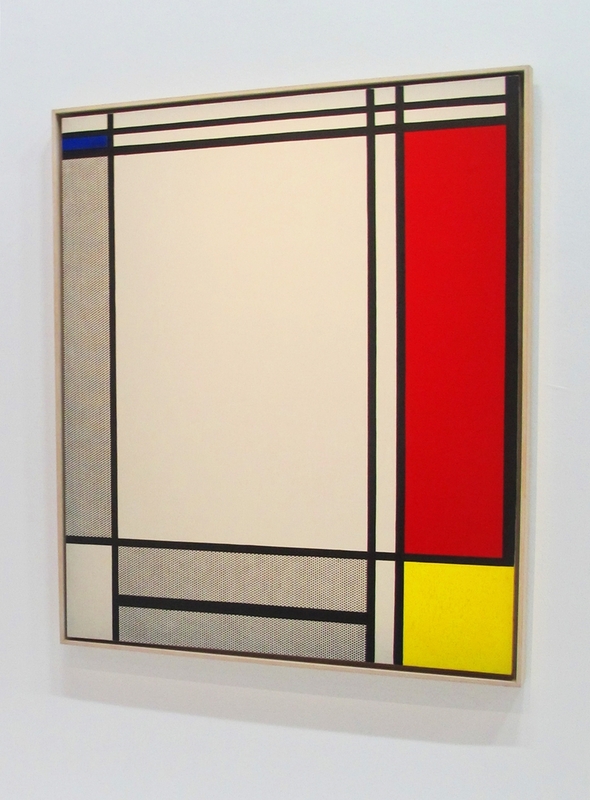 Of the 124 pieces that made it to the Pompidou, I was particularly mesmerized by the scale of the canvases and prints and fascinated by the sculptures and objects exhibited in this show. 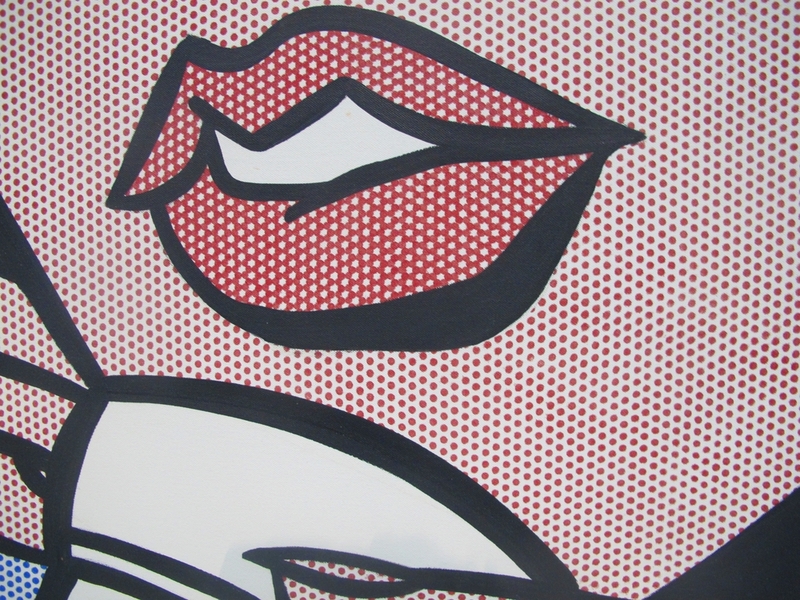 Lichtenstein's work goes deeper than the depiction of comics and parodies, it's a whole cultural reference to the 1960s and 1970s; consumerism in the US; the world of advertising, marketing and sales and also the use of his own cross-references to impressionists and modern masters like Picasso, Matisse, Mondrian and Leger. This show is running until November 4th and it is unmissable for anyone who is in Paris and loves modern and contemporary art. 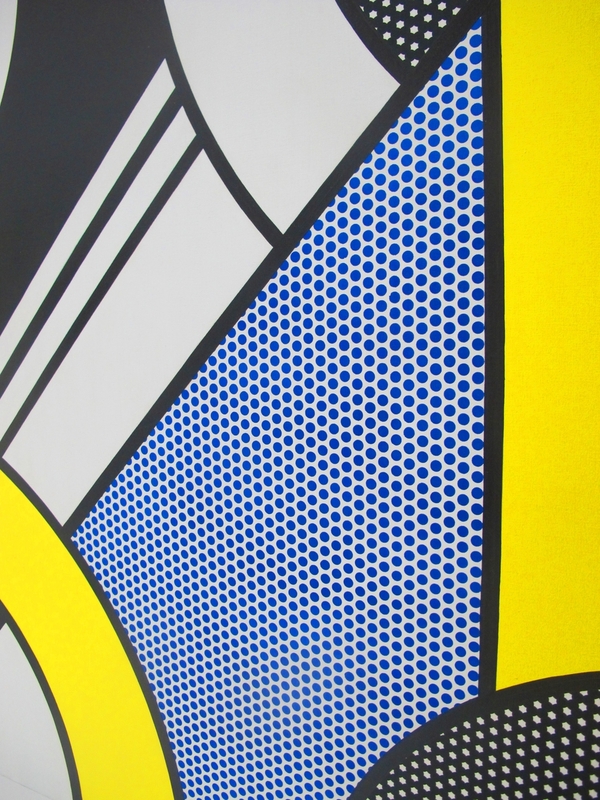 Lichtenstein's paintings, if ever available, belong to the realm of auction houses and secondary-market galleries. 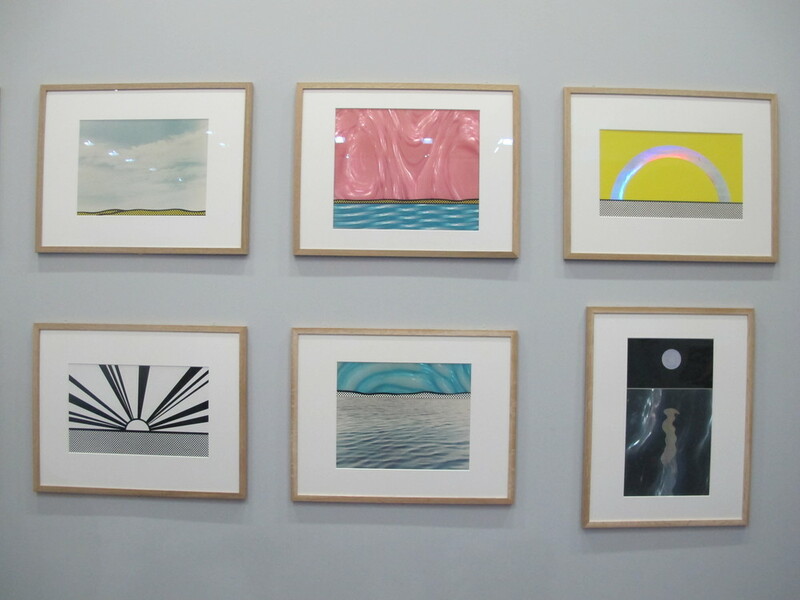 Some of his prints are easier to find, which doesn't mean that are necessarily that accessible in terms of price. 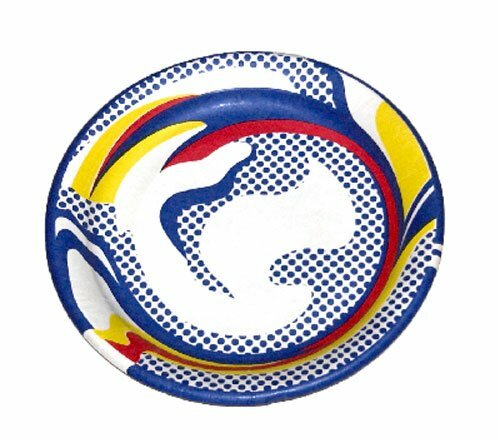 There are also a variety of objects and small sculptures in series and even carpeting that can be bought by the yard (in a design developed by Jeff Koons but licensed from the Roy Lichtenstein Foundation). 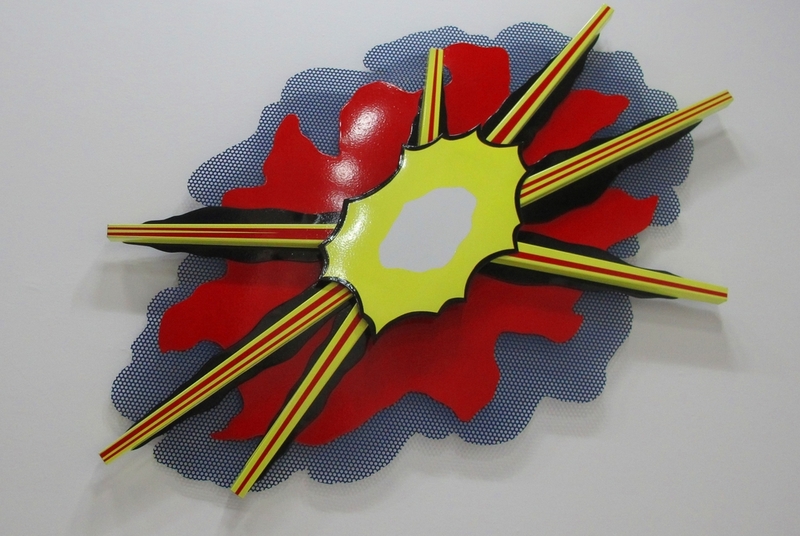 And, of course, there are lots of affordable works by emerging artists who are inspired by Lichtenstein. 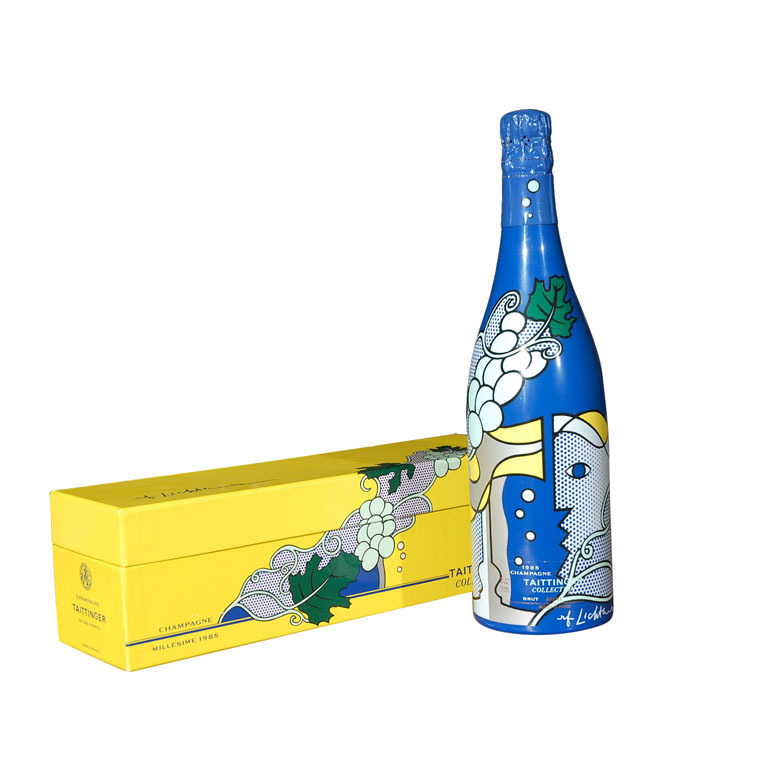 Below is my selection (click on each item to buy).